This Watermelon Mozzarella Salad is so easy I almost feel silly even sharing it BUT its delicious and so perfect for summer parties! There are just 2, YES TWO ingredients but the flavor is fantastic! 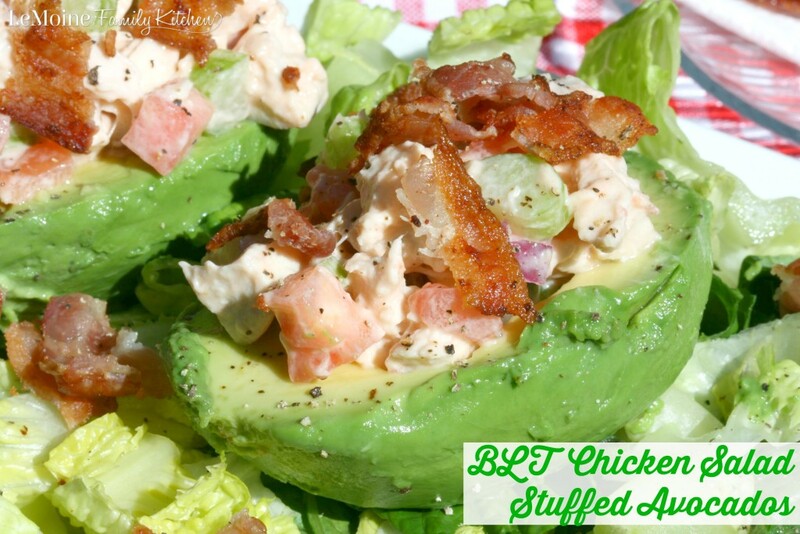 Its a perfect combo of sweet and savory- a play on the pairing of fruit & cheese. A refreshing salad on a hot summer day and would be just perfect for 4th of July! Watermelon screams summer to me. For this I simply used half a watermelon, made fun bite sized melon balls and mixed with fresh marinated mozzarella balls! 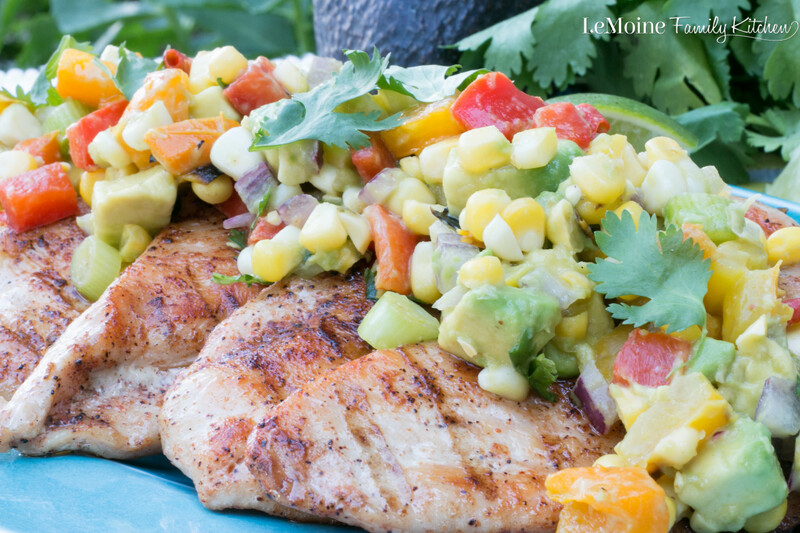 The marinade is packed with flavor and works really well with the sweet melon. 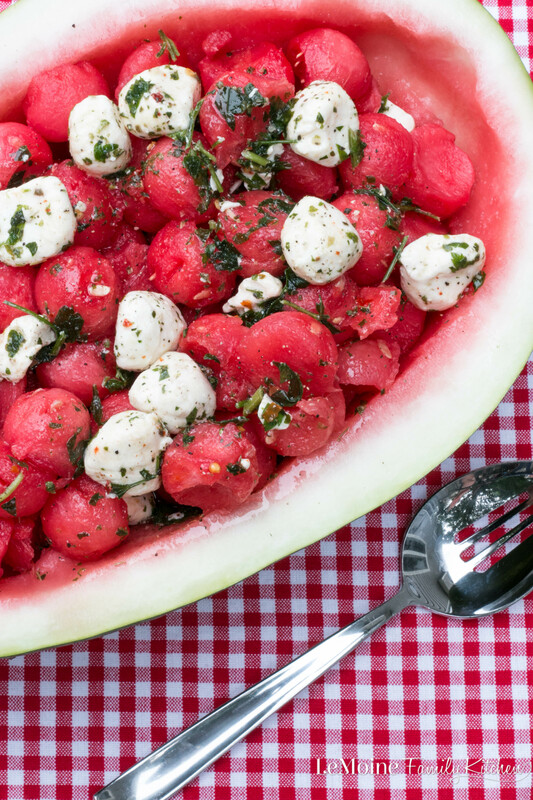 To make it really fun and well not to bother dirtying a bowl… serve this fabulous Watermelon Mozzarella Salad in the watermelon! Easy to travel to parties with and you just throw the shell away at the end. SO easy! Using a melon baller, scoop out the watermelon. 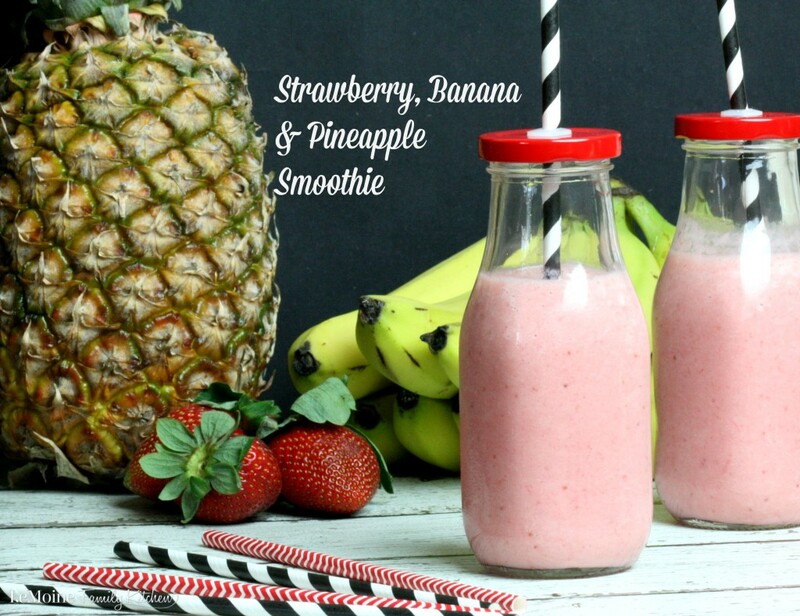 Drain out any extra juice thats left in the shell. 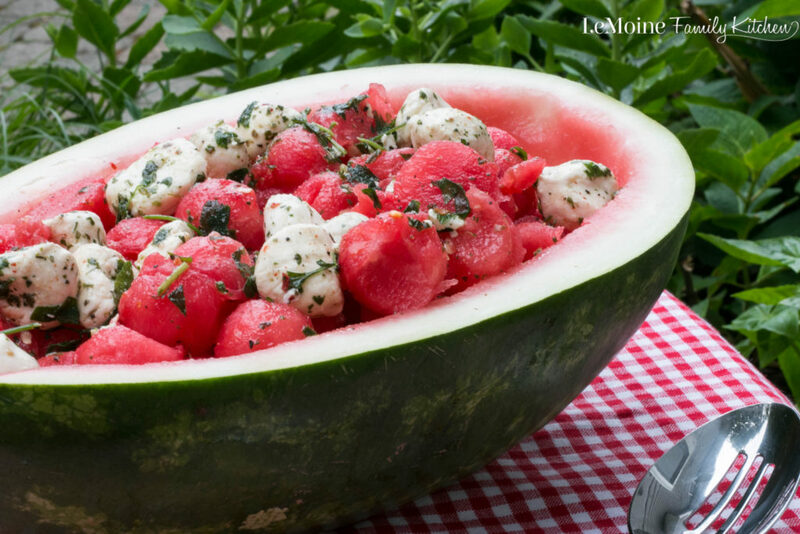 Stir the melon balls and mozzarella balls along with the marinade in the watermelon shell. Season lightly with salt and pepper to taste.